A true 3-way in-ceiling speaker, the Monitor Audio C380-IDC, available in Winnipeg at Creative Audio, is configured with an 8-inch C-CAM RST bass driver and a pivoting IDC module, housing a 4-inch C-CAM RST inverted midrange driver and a 1-inch C-CAM Gold Dome tweeter. 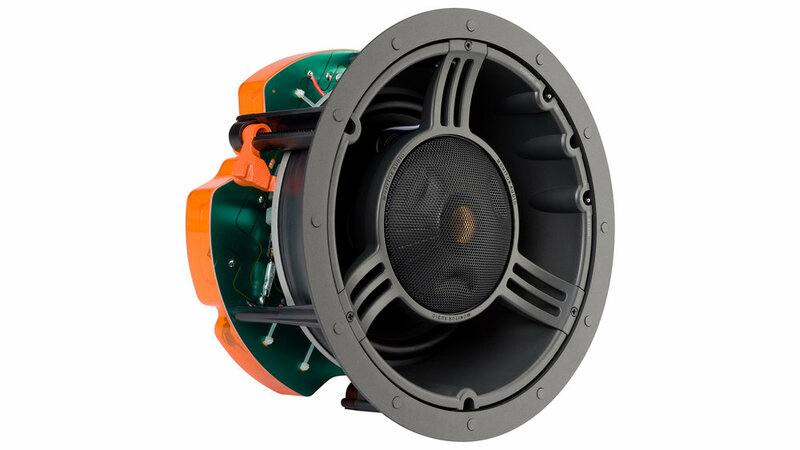 3-way design provides deeper bass, higher system output and greater power handling. Optional square or premium grille can be used with this model. Are you interested in the Monitor Audio C380-IDC? Thank you for your interest in the Monitor Audio C380-IDC! One of our team will be in touch with you very soon.